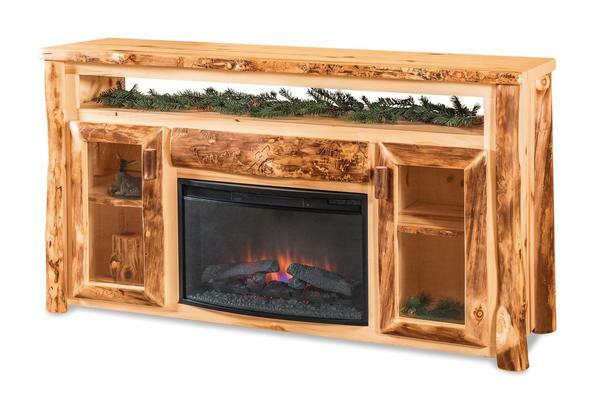 Enjoy your favorite movie while being comfortably warmed by the electric fireplace built into this Rustic Log TV Stand. With two glass display cabinets, one natural log drawer, and an opening at the top for your DVD player or cable box, this rustic log TV stand has plenty of storage for your living room essentials. For additional information or custom ordering assistance on this Rustic Log TV Stand, contact one of our knowledgeable furniture specialists.